We highly recommend Ryan and his team as one of the most professional tradespeople we have engaged. They were not only courteous but turned up on time! The quality of work was great, and they addressed any concerns we had with professionalism and efficiency. Highly recommended. Thanks Ryan. We were actually referred to Ryan from a tradie friend of his who built our pool. The feedback was that he was highly reliable, honest and the best at his profession. We actually found Ryan to be all that and more. I would also add - a great bloke, he actually cares about the issues you have (it is not just a job for him) so he is often prompt, and his prices are very reasonable. 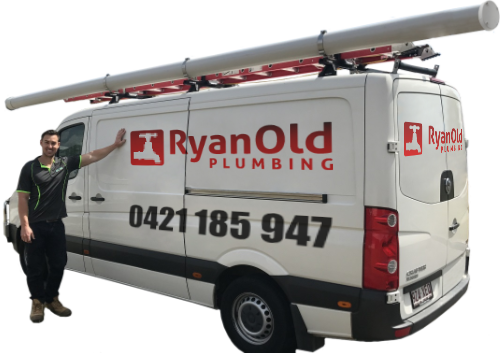 We have used Ryan Old plumbing for replacing our water tank pump and our bathroom taps and they were fantastic! At first they tried fixing the pump (to try and save us money) then when that didn't work, they replaced it. The work was done promptly with no mess left behind and no problems since. Thank you Ryan Old Plumbing. Recently, I have started with some home improvements, which all begins with finding the right trade’s people and organising quotes. This can be a frustrating and daunting process. One of the tasks that needed doing was the cleaning and repair of the gutters of our old post-war home. I left a message for Ryan Old from Ryan Old Plumbing to come and do up a quote. He called me that same day to arrange a day/time for a quote. Imagine my delight and surprise when he turned up on time and professionally attired. He took the time to listen to my concerns – as it was an old house. Ryan was courteous, professional and respectful. My delight doubled when we saw the quote and found his pricing to be very fair and reasonable. We arranged a start time and again; I was surprised that he followed up prior to starting and arrived on time. Ryan demonstrated patience and flexibility during the whole process, not just with the house but with me as well, since we experienced some challenges. The results were very pleasing. Ryan has demonstrated that not all tradesmen are the same. His professionalism and workmanship are excellent. His prices are very fair. I would highly recommend Ryan to anyone that is thinking about any plumping matters, big or small. We had Ryan come and fix our leaking shower. He was here when he said he would be and fixed the problem in 10 minutes. Great Job.